There are many various tourist places in Greece that you can explore. 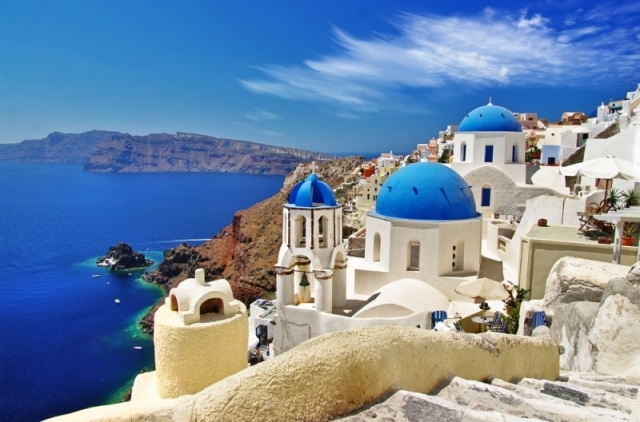 Greece is one of the most popular tourist attractions in the world. Throughout Greece, there are many historical ruins that are remnants of ancient civilizations, and various churches and buildings from medieval era. Greece truly offers an amazing vacation spot for everyone. Here are 10 famous places to visit in Greece, the country which is identical with the country of many gods. A cosmopolitan area of Greek territory consisting of the islands. 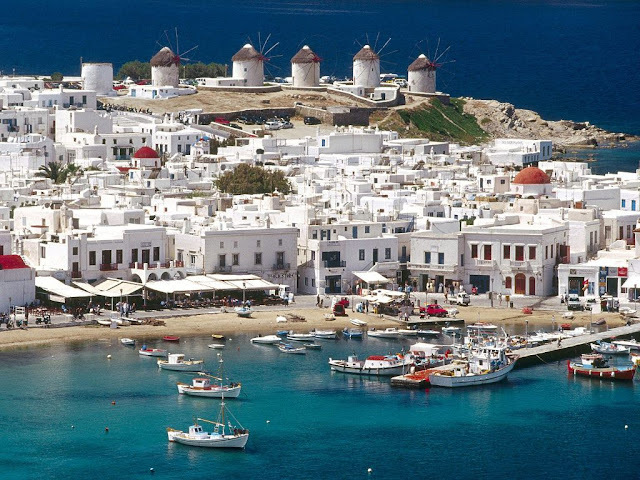 Mykonos recognized by many travellers all over the world as a tourist spot with the most beautiful natural scenery in Greece. Mykonos also has another name, which is Chora, the town is dominated by the white stately house. Not only white house, the surrounding area is also painted white, that's why this place called Chora which means white city. Delphi is a famous archaeological sites in the world, here you can find ancient theater built on a hill. If you go there, you can see a view from amazing top of the valley. Tourist attractions in Greece is a real painting of beauty in Greece. 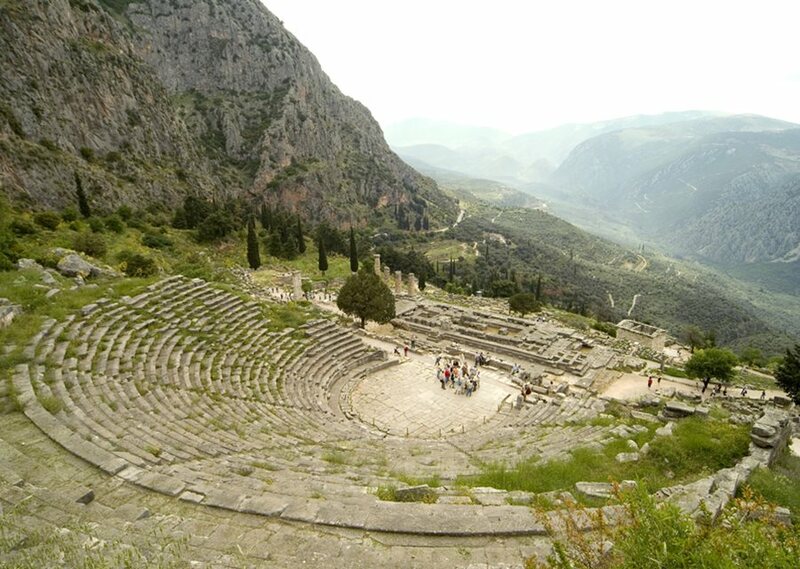 Ancient Theatre of Delphi is one of the popular places to visit in Greece. Athos is a mountain in northern Greece. The mountain is known as the 'Holy Mountain' at the Greece. The location is included in the autonomous state under Greek sovereignty and control. Here you can see the unbeatable natural scenery. 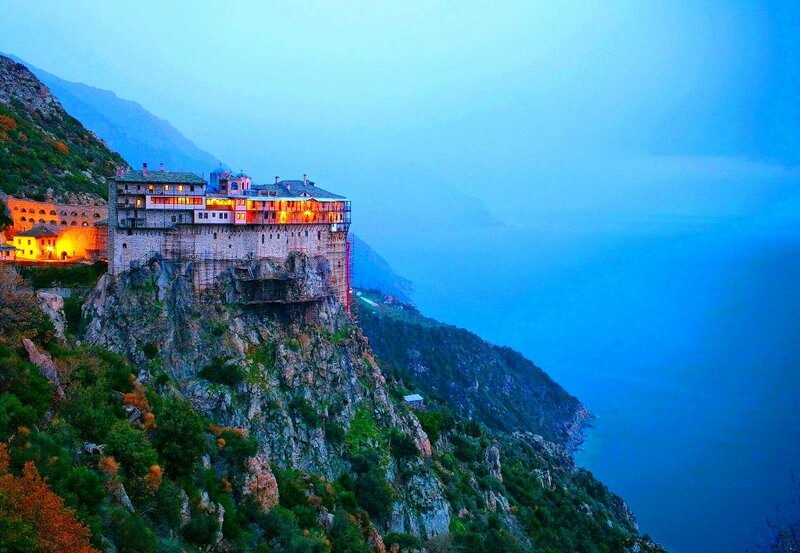 In the eastern part there is a building that can accommodate 1400 orthodox monk. To reach the monk building is a pretty difficult, in addition considered a sacred place, the place is also where the monks escaping from the modern world. Women are also not allowed to enter this place. 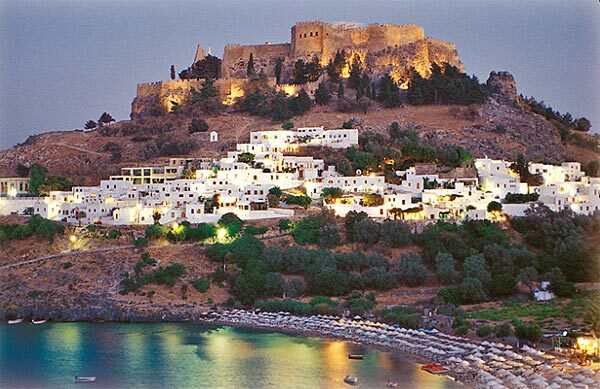 It is a traditional village that existed since the Middle Ages, precisely located on the island of Rodos. This traditional village is also dominated by the same white house with a road that is also painted white. If you go up to the village in the hills, you can see a view of the beach and the beautiful harbor in Lindos. Parthenon temple is located on top of the Acropolis, and one of the popular tourist spots in Greece, and a visit to Athens would be incomplete without visiting this temple. Parthenon temple construction began in 447 BC, to replace the old temple was destroyed by the Persians. 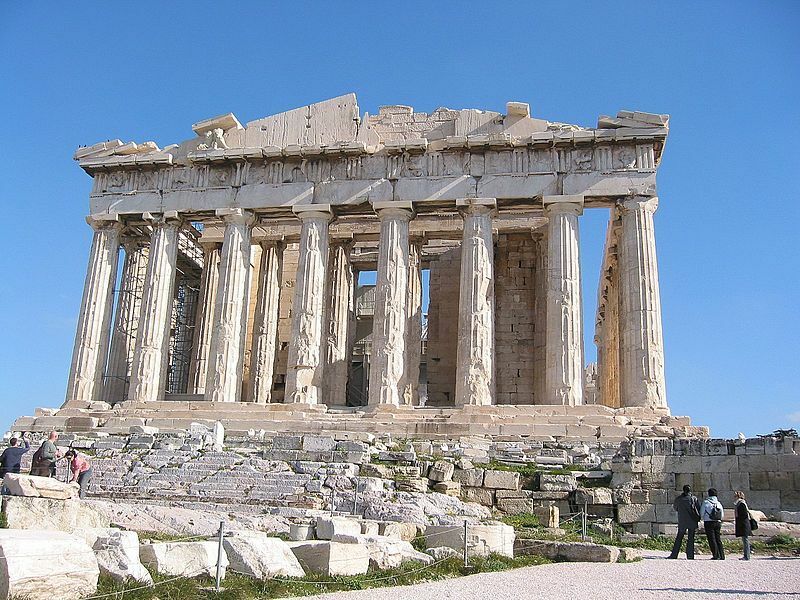 During its long history, the Parthenon was used as a shrine, forts, churches, mosques in a various different periods. The Parthenon is one of the popular places to visit in Greece. Located in the north-west of Kefalonia, Myrtos beach is a tourist place in Greece that is popular because the color of the water is magical. Blue and turquoise sea in sharp contrast with the bright white and marble pebbles that exist along this coast. 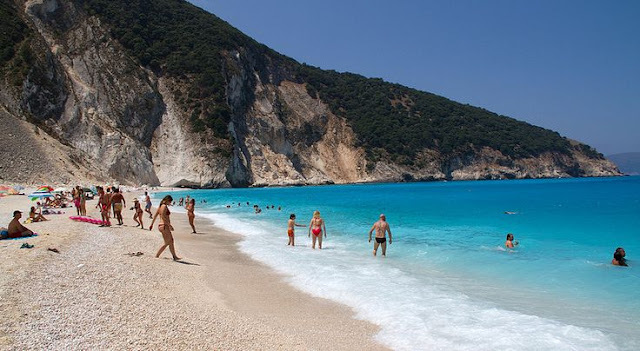 The mountains are steep and high cliffs behind the Myrtos beach adds to the beauty of this beach. For all this beauty, Myrtos had previously been 12 times awarded as the best beach in Greece. 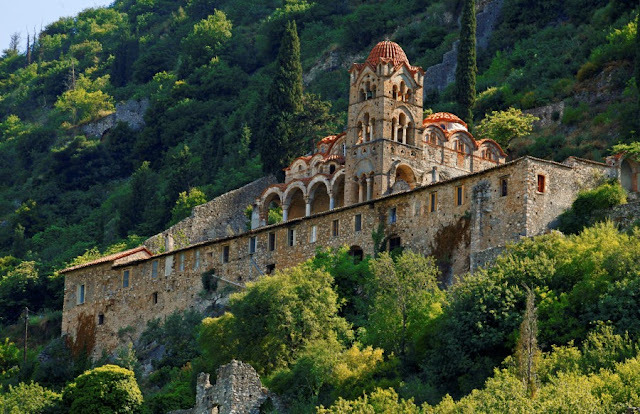 Located near ancient Sparta, Mystras is the capital of the Peloponnesus in the 14th and 15th centuries, ruled by the Byzantine emperors. The site is still inhabited during the Ottoman period but began to be abandoned in 1832, leaving only the breathtaking ruins, standing in a beautiful landscape. Samaria Gorge is a valley along 16 km in the southwest Crete. 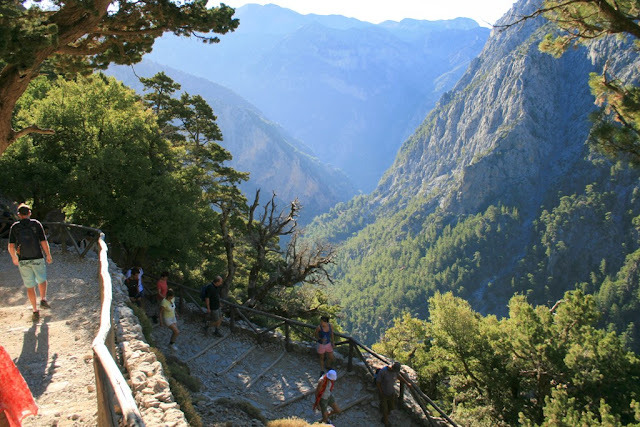 Walking through the Samaria Gorge is very popular and more than a quarter of a million tourists do it every year. Walk about 4 to 7 hours and passes through pine forests and ancient pine, then cut between the vertical cliffs through the mountains to reach Agia Roumeli in the Libyan sea. Meteora ("suspended in air") in central Greece is a stunning collection of six monasteries are located on the top of the rock pillars. 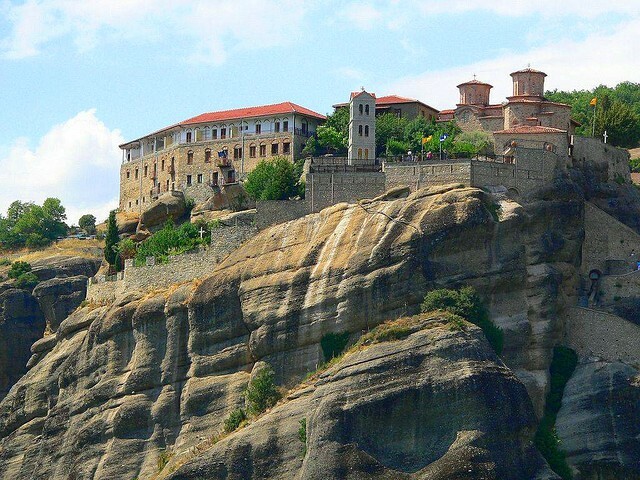 The first monastery in Meteora was founded in the 14th century. Access to the monasteries was deliberately difficult, requiring either long ladders or huge nets which are used to transport both goods and people. It takes quite a leap of faith to be able to pass because the rope was replaced only "when the Lord let them break up".